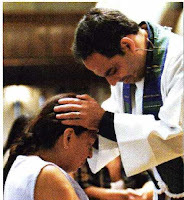 On Sunday, January 1, 2012, All Saints Church welcomes the “New Year's Day People's Summit” – a faith-based forum on economic & social justice. The event will include a teach-in style conversation focused on the U.S. foreclosure crisis and the role of faith-based action in creating social and economic change. It is part of the DNA of All Saints Church to be a headlight rather than a tail light on issues of social justice and so speaking out and standing up for social and economic change is absolutely in alignment with our core values of God’s love, justice and compassion. And while All Saints Church has not officially endorsed the Occupy Movement, many of the same policy issues at the center of the movement – particularly economic inequity and a commitment to nonviolence – are of deep concern to the members of the All Saints community. Participants in the People’s Summit will include organizers from the Occupy Movement, interfaith leaders and a broad cross section of members of the peace & justice community. All Saints clergy Ed Bacon and Carissa Baldwin-McGinnis will participate along with other interfaith leaders. 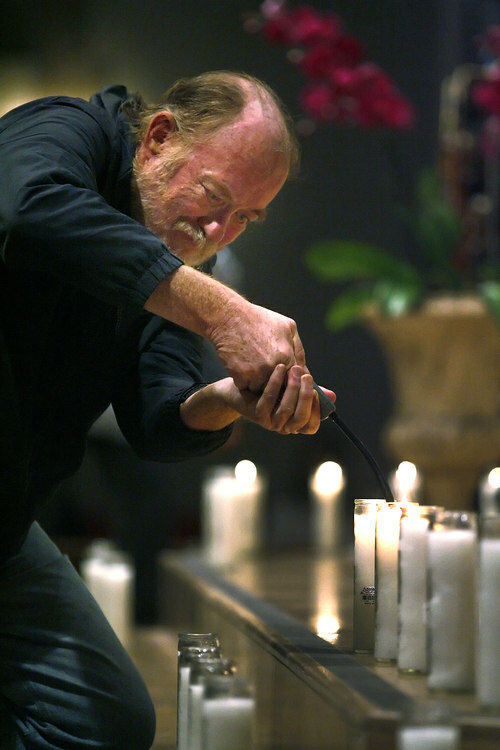 Peter Laarman in his role as a leader of an interfaith group, “Occupy LA Sanctuary,” is coordinating the program which will be held on January 1st from 3-6 p.m at All Saints Church, 132 North Euclid Avenue, Pasadena CA 91101. Family Service at 3p.m. -- Mastersingers and Troubadours, directed by Jenny Price, offer music of Gray and Bach. The rector and friends tell the Christmas story. Festive Eucharist at 5:30 p.m. -- Trouveres with instrumental ensemble offer music of Caldwell and Ivory. Carissa Baldwin-McGinnis preaches. 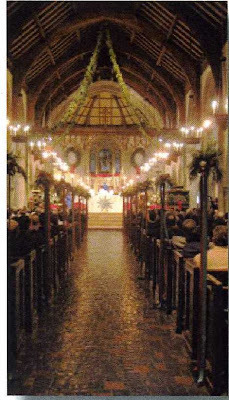 Festive Eucharist at 11:00 p.m. -- Coventry Choir and chamber orchestra offer Heiligmesse by Haydn and music of Holst. The Rector preaches. Coventry Choir soloists offer carols arranged by David Willcocks. Dan Cole and Ensemble offer music. Canterbury Choir soloists offer music. Ed Bacon preaches. 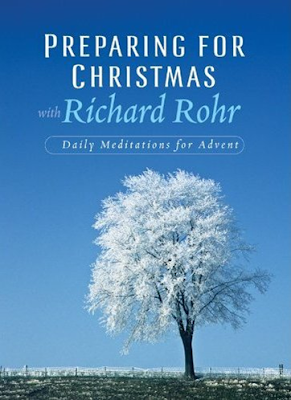 This special service is a wonderful way to prepare for the new year. Child care provided. Healing Services at 9 & 11:15 a.m. and 1 p.m.
All Christmas Eve services are well attended. For the 3, 5:30 and 8pm services plan to arrive at least 30 minute early; for the 11pm service at least 45 minutes early. There is no saving of seats. A beautifully decorated Learning Center will serve as overflow seating as needed. The music and preaching in the church are experienced via closed circuit television and then the Eucharist is celebrated “live” in the Learning Center. Parking: At 3pm parking will be available in the North Lot (corner of Euclid and Walnut) or underground at the Westin Hotel (enter from Union Street.) For the 5:30, 8 & 11 pm services , parking will be available at the Kaiser parking structure or underground at the Westin Hotel. Live from Pasadena: It's CHRISTMAS EVE! Whoever you are and wherever you find yourself, you can be part of Christmas Eve at All Saints Church! 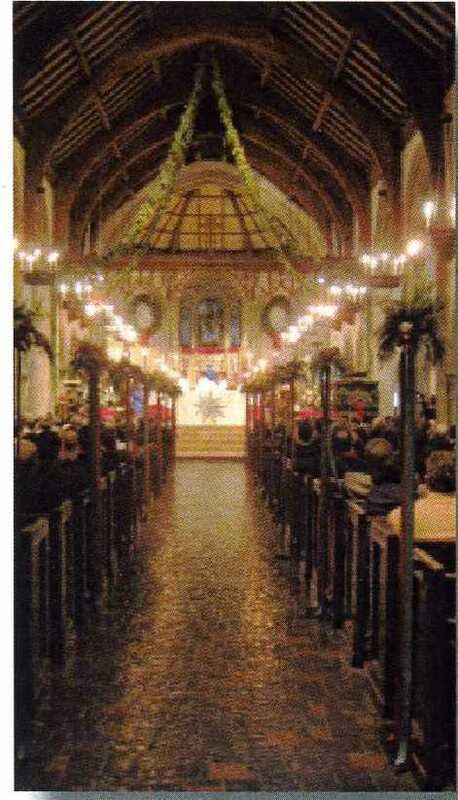 Nothing replaces the warmth, beauty, joy and energy of being at All Saints Church on Christmas Eve. And yet, we know there are those in our wider All Saints family who are unable to be with us for our Christmas celebration due to challenges of health, distance, travel or mobility issues. And so we are delighted to announce that we will be live-streaming the 8:00pm Christmas Eve service this year on the All Saints website. For more information contact Communication Director Keith Holeman ... by email or at 626.583.2739 ... and to make a Christmas gift to help All Saints fund making God's love tangible 24/7 click here. Each year, thousands of homeless men and women die on the streets due to illness, exposure or violence. These individuals die without the dignity and respect they deserve ... and so last night at All Saints Church was an opportunity to gather for a Memorial Service to honor and acknowledge their lives and membership in the human family. This year we decided to "multiplatformize" the rector's annual Christmas letter to the parish by turning it into a video. Here's a little glimpse of what Christmas looks like at All Saints Church in Pasadena. ENJOY! The spirit of God is upon me…. The Spirit always connects, reconciles, forgives, heals and makes two into one. 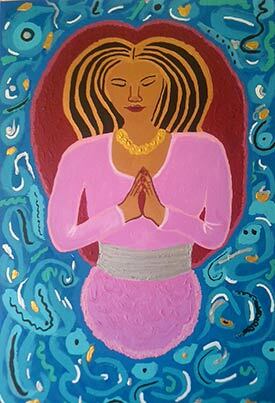 It moves beyond human-made boundaries to utterly realign and renew that which is separated and alienated. The “diabolical” (from two Greek words, dia balien, that mean “to throw apart”), by contrast, always divides and separates that which could be united and at peace. Just as the Spirit always makes one out of two, so the evil one invariably makes two out of one! The evil one tears the fabric of life apart, while the Spirit comes to mend, soften and heal. In today’s reading from Isaiah, the prophet describes the coming Servant of Yahweh. It is precisely this quote that Jesus first uses to announce the exact nature of his own ministry (Luke 4:18-19). In each case Jesus describes his work as moving outside of polite and proper limits and boundaries to reunite things that have been marginalized or excluded by society: the poor, the imprisoned, the blind, the downtrodden. His ministry is not to gather the so-called good into a private country club but to reach out to those on the edge and on the bottom, those who are “last” to tell them they are, in fact, first! That is almost the very job description of the Holy Spirit, and therefore of Jesus. The more that we can put together, the more that we can “forgive” and allow, the more we can include and enjoy, the more we tend to be living in the Spirit. The more we need to reject, oppose, den, exclude and eliminate, the more open we are to negative and destructive voices and to our own worst instincts. As always, Jesus is our model of healing, outreach and reconciliation, the ultimate person of the Spirit. What divisions exist in your life? How can you let the Spirit mend those divisions? 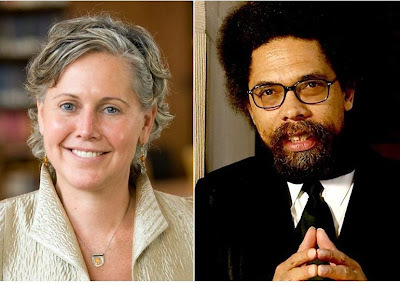 Cornel West & Serene Jones address "The Role of Progressive Religion in the Occupy Movement" on Sunday, December 18 in the All Saints Rector's Forum beginning at 10:15 a.m.
Dr. Cornel West is a prolific essayist, public speaker, social activist, and major figure in African American academia. Commenting recently on his decision to return to the faculty of Union Seminary in NYC, Dr. West said that his liberal politics were formed in Progressive Baptist churches, and that Union was “the institutional expression of my core identity as a prophetic Christian.” His work exemplifies synthesis and innovation and we are honored to welcome him to the Rector's Forum. Dr. Serene Jones, President of Union Seminary is a popular scholar in the fields of theology, religion and gender studies and a long-time friend of All Saints Church. Dr. Jones not only returns to the Rector's Forum to reflect with Dr. West on the theological context of the Occupy Movement, she will be in the pulpit at both the 9:00 & 11:15 services preaching "Visceral Reckonings." John the Baptist’s qualities are most rare and yet crucial for any reform or authentic transforma-tion of persons or groups. That is why we focus on John the Baptist every Advent and why Jesus trusts him and accepts his non-temple, offbeat nature ritual, while also going far beyond him. 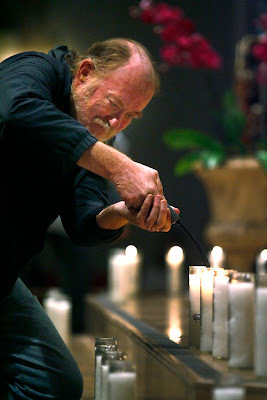 Water is only the container; fire and Spirit are the contents, John says. Yet if we are not like the great John, we will invariably substitute our own little container for the realcontents. We will substitute rituals for reality instead of letting the rituals point us beyond themselves. important part, and he knows it. His is brilliantly a spirituality of descent, not ascent. “He must grow bigger, I must grow smaller” (Jn 3:30). How is your spirituality one of ascent or descent? All Saints was well represented at this year's Diocesan Convention in Riverside (December 2 & 3). Thirty years ago, when the nation clamored to disseminate news, facts and awareness of a growing HIV/AIDS epidemic, the city of Pasadena stood at the forefront of activism. It was here that physician and UCLA professor of medicine Michael Gottlieb became one of the first in the medical community to identify and classify AIDS in a 1981 report to the Centers for Disease Control. The city formed an AIDS Taskforce to study the needs of those living with HIV/AIDS, and All Saints Church had started the Pasadena AIDS Service Center to support individuals and families affected by it. By 1991, the Pasadena Public Health Department had opened Andrew Escajeda Comprehensive Care Services to provide outpatient care to HIV-infected individuals. This year marks a milestone in AIDS history — it was 30 years ago this June 5 that HIV/AIDS was officially classified as a rare lung infection by the CDC. In 1990, Pasadena ranked fifth in California for HIV incidence per 100,000 people, with 146 people infected and 88 fatalities, according to an Oct, 11, 1990 Los Angeles Times article. Today, the Los Angeles County Department of Public Health estimates there are 62,800 people in the county living with HIV/AIDS — 13,500 of whom don’t know they’re infected. In San Gabriel Valley, there are 2,981 people who’ve contracted the disease. In 1987, under the aegis of All Saints Church, Regas helped start the AIDS Service Center as a telephone helpline where people could leave questions and concerns on an answering machine. A flood of calls came in, he recalls, and within one year, the church had raised enough money to open a brick and mortar center. Today, the center, located at 909 S. Fair Oaks Ave. in Pasadena, supports more than 1,000 clients living with the disease and offers services to another 4,000 residents in the form of HIV/AIDS 101 education programs and testing, according to Director of Marketing and Development Anthony Guthmiller.